Collage on paper, unique piece. 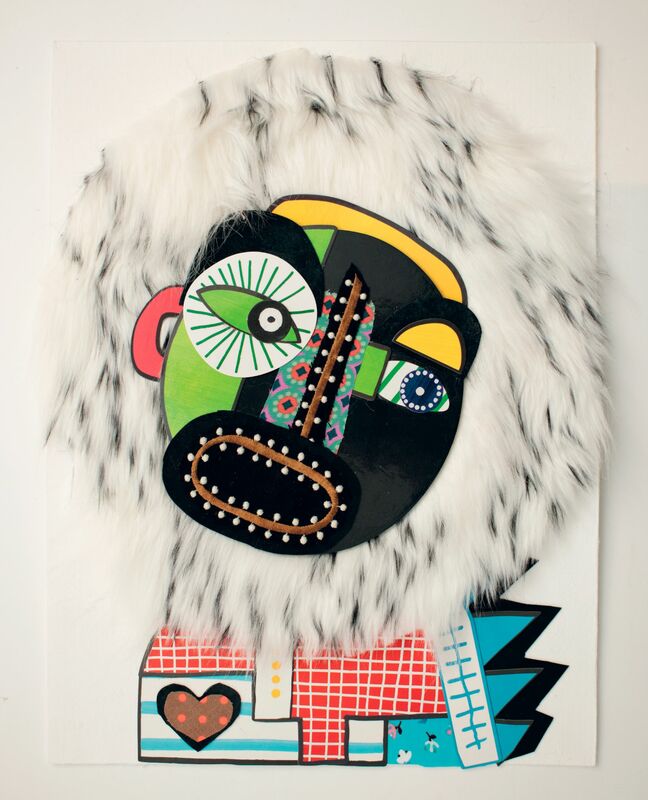 The collage consists of fabric and faux fur pieces, as well as from painted pieces of paper. 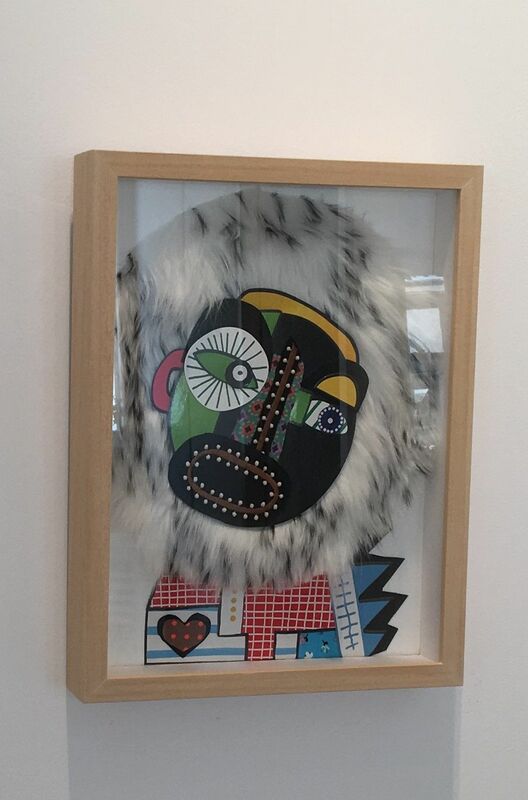 Shown is a round nomadic face in frontal view, which is framed by a white fur wreath. 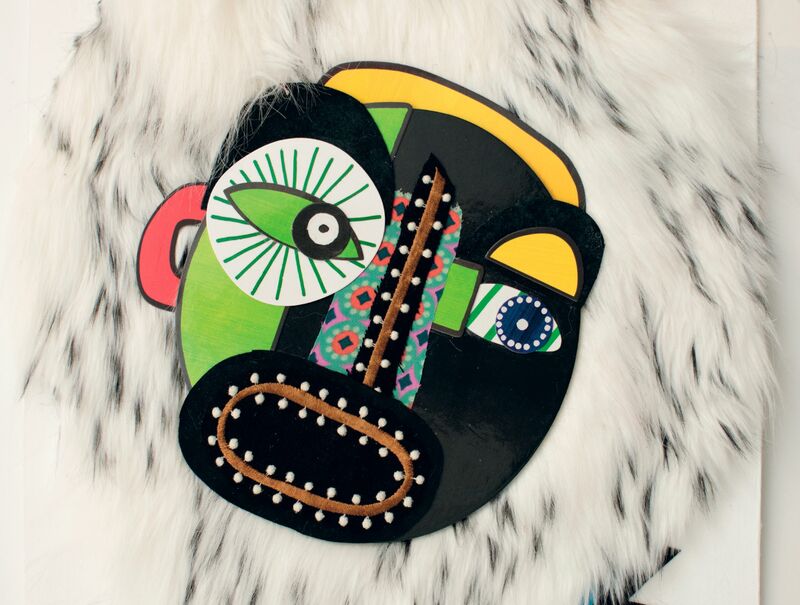 The face carries a wide-open mouth and big eyes remind on African masks images. Because of the face caring at the same time primitivist and modern aspects, it reminds in its design of Cubist forms principles.